It can be a pretty daunting task to choose the right flooring for your home. Whether to opt for carpeting or floor tiles is just one of the questions you’ll have to ask yourself. However, before you choose either, we strongly recommend that you consider coming to one of our House of Tiles tile shops to check out the laminate flooring option, as it offers a raft of benefits. First of all, laminate flooring mimics the look of the real wood variety, offering your home a warm and inviting aesthetic. Then there’s the fact that it is every bit as durable as porcelain and ceramic tiles, with the added benefit of being easy to clean and maintain. Laminate flooring has come on an awful lot in recent years, so much so that you might not even be able to tell it’s not real wood! Laminate flooring is super easy to lay, even if you’re a relative novice to DIY. Their simple tongue-in-groove design makes them a cinch to lay in a short space of time, so you might not even have to pay to have it laid by a professional! 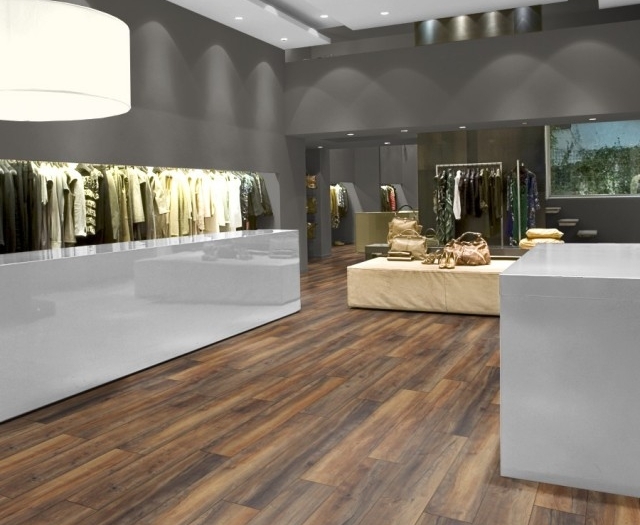 What’s more, laminate flooring is suitable for use with underfloor heating, as well as being pet friendly and non-slip. In addition to all the great features we’ve mentioned already, laminate flooring offers a gloriously classy aesthetic, as can be seen here http://bit.ly/2Yd1DxB. Most people think of plain pine being the only option available in laminate flooring, but nothing could be further from the truth. Our laminate flooring choices range from the wonderfully dark and mysterious Harbour Oak Grey http://bit.ly/2OvMFgB to the light and airy Fantasy Wood http://bit.ly/2Yfhfk3 option and an array of options in between. There really is a choice available for every possible style of home, with each one able to perfectly complement classic and contemporary kitchen, living room and bathroom designs alike. If you like the sound of what we’ve talked about and you want to know more, why not head over to our website www.houseoftiles.ie and check out our range of laminate flooring? Whilst you’re there, you can take a look at the high quality bathroom suites, wall tiles and kitchen tiles we have to offer. Alternatively, why not give us a call on 01 426 4881 and have a chat with our friendly team about what laminate flooring can do for your home.